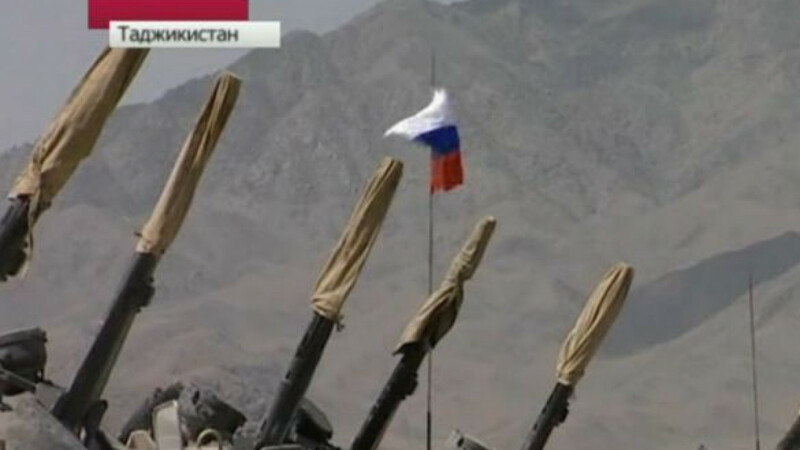 A Russian flag waves on military equipment in Tajikistan, where Russia has its largest foreign military base. Tajikistan authorities have agreed to Moscow's terms to extend Russia's lease on a military base in Tajikistan without a cash payment, a top military official said Tuesday. The announcement comes less than a week after a media report emerged saying Dushanbe wanted Moscow to pay $250 million per year to keep the outpost. Ground Forces commander Vladimir Chirkin said Tajikistan wants to conclude a joint agreement soon. "The Tajik side considers the draft agreement between Russia and Tajikistan, which strengthens the 201st army base's presence there for another 49 years, as acceptable. The country's leadership intends to bring about a joint agreement quickly," the colonel-general said, RIA-Novosti reported. Chirkin added that the deal would include the same terms as the current agreement, under which Russia renders Tajikistan military and technical assistance, with no cash transfer to be included. Dushanbe has not yet confirmed that an agreement has been reached to replace the current contract, set to expire in 2014. Last week, Kommersant reported that a source close to negotiations over the base deal indicated that Dushanbe sought yearly payments of $250 million for the military base, in operation since 2004 with more than 7,000 military personnel.